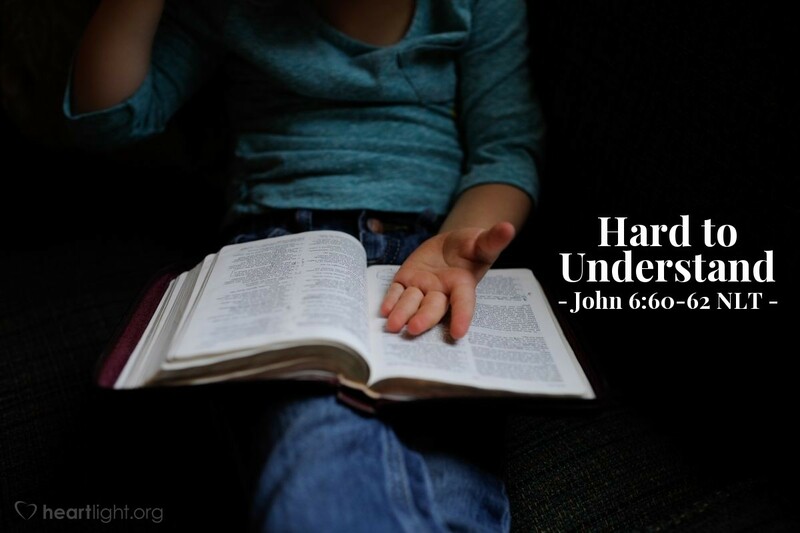 Many of [Jesus'] disciples said, "This is very hard to understand. How can anyone accept it?" Jesus was aware that his disciples were complaining, so he said to them, "Does this offend you? Then what will you think if you see the Son of Man ascend to heaven again?" "Make it easy for them!" That seems to be the slogan today. "Don't set the bar too high!" "Don't make it difficult!" Unfortunately, the best things in life and the truest things in life are sometimes the hardest to acquire and to achieve. Quite often, the truest things in life are the hardest to discern. If we make them easy, then we make them less than what they are. Jesus didn't make following him easy for the disciples. Instead, he made it even more challenging. He made sure those seeking him knew the stakes involved; so for that reason, he refused to water down the challenge to them. While I want people to come to Jesus and receive his grace that has been so freely offered, I surely don't want to rob his message of its bite, of its power, or of its demands. Jesus calls us to follow a road that sometimes may be tough, but it leads to a wonderful place of glory and grace. Don't let his challenging words put you off. He is the only way. Give me the heart to follow only you and your messengers, O LORD. Please don't let me be deceived by those who are false or misled by those who don't know the way. Give me discernment so that I can know your will more completely and follow you more passionately. In your name, I pray. Amen.